Are you looking for retail construction services? We at ECO Home Builders understand that high ethical standards are critical to the creation of a good company and the success of business. Our core values, which includes integrity, responsibility, and initiative reflects in every project our high standards in design, construction, and execution. At EHB we provide solutions in the retail construction industry, and we are proud to be a part of every company that trusted our services to helped them built from the grounds up the development of their business. We build new retail spaces with an integrated approach creating a workspace to match your employee's and customer needs. 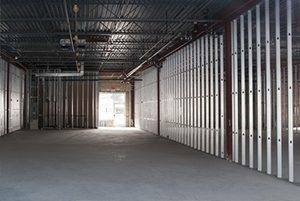 Our retail construction services focus on retail build-outs for Floridian businesses. We are leaders in retail store construction focusing on the ground-up of restaurants,banks, commercial facilities, business offices, medical offices, golf clubhouses, etc. EHB years of experience in the industry gives our customers the best construction services suiting their needs and budget. When we begin a construction project, we take care of any critical factors and decisions that involve the floor plan, the site selection, the materials to be used and development timelines. Whether you’re remodeling your retail business or you’re building it from ground up, we can take a larger or a smaller project and make it a reality. Also, if budget is a problem, we have options available to work with you at an affordable price. Our construction manager is involved in every phase of the construction as he is part of the decision-making team to provide superb services based on your specific needs. Our extensive knowledge of OSHA and building codes, as well as ANSA standards, making our constructions uniquely qualified to help achieve your goals every step of the way. Are you ready for your retail construction services? Request a free quote today! For more details call us today at 954-665-0852 or visit our click HERE and fill out a quick Form! Retail Construction Services	Overall rating:	5	out of 5 based on 8	reviews.